Leontopodium brachyactis is a soft wooly herb. Leaves are 0.8 to 1 cm in width and 0.3 to 0.4 cm in height. Basal leaves are clustered and stem leaves are short mucro. 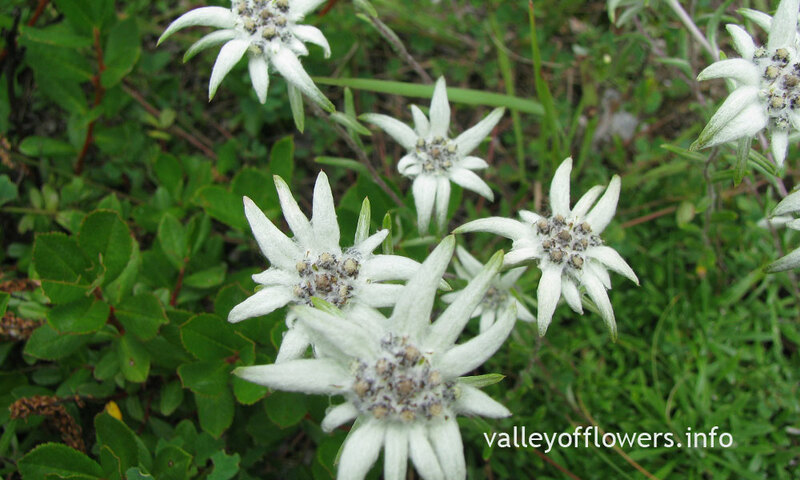 Flower heads are white and densely wooly and they are leaf like, flat. Common in grassy slopes and rock crevices. 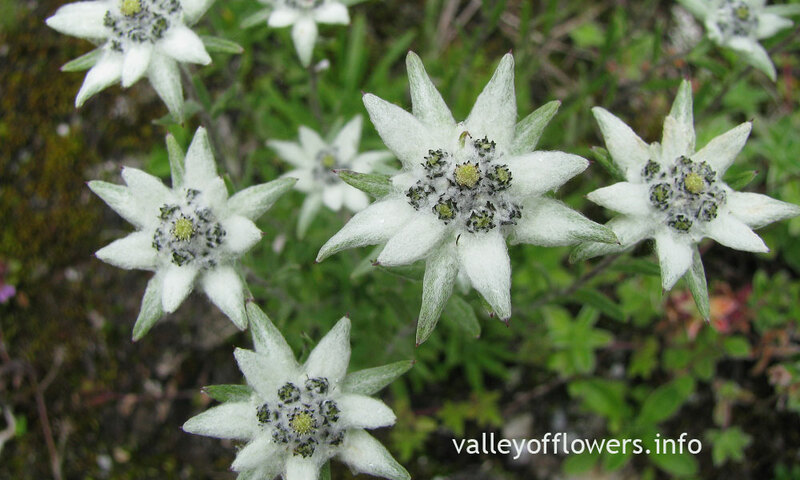 You can find this flower in later half of Valley of Flowers at grassy slopes. 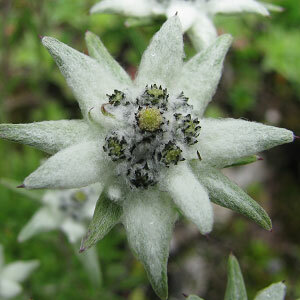 After trekking for about 4-5 kilometers from the entry gate you may find Leontopodium Brachyatis. 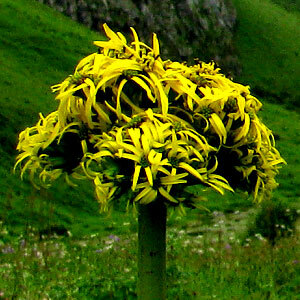 There is a Bhojpatra forest Just before reaching Pushpwati river bed and before that forest in grassy slope you can find this flower. 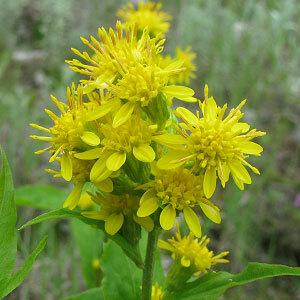 Following are some of the pictures of the Leontopodium brachyactis,hope you will like them all. If yes do not forget to comment or share with your friends. Expand your search of Flowers!. 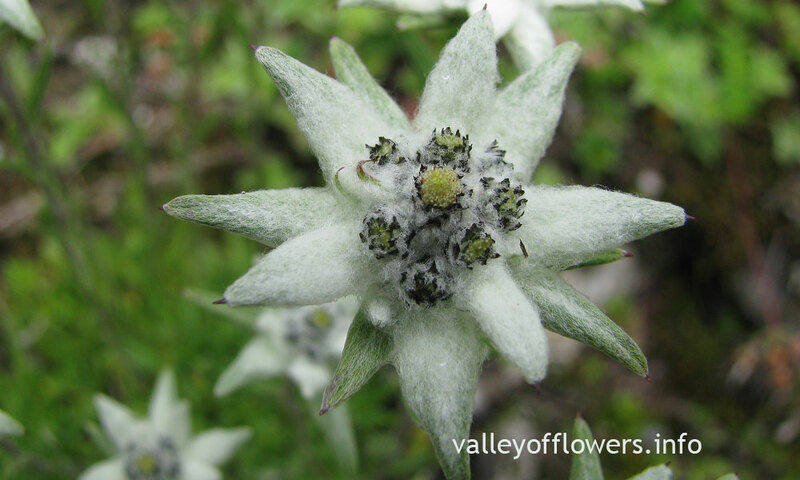 We have made a database of more than 140 flowers found in Valley of Flowers and nearby areas; you can find flowers according to timing, location, color, availability and size of flowers. You can use one or more filters given below to get desired search results. 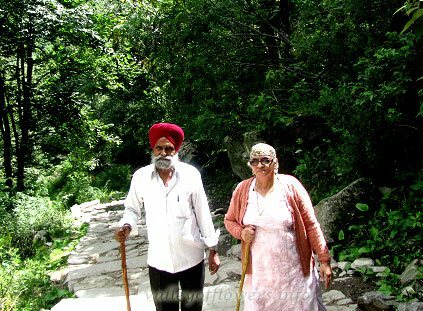 Can senior citizens visit valley of flowers? Senior citizens also want to come to this heaven on earth but they are confused about whether they can do it or not. We have been taking senior citizens to the valley of flowers. There are options of helicopter and ponies to skip trekking. 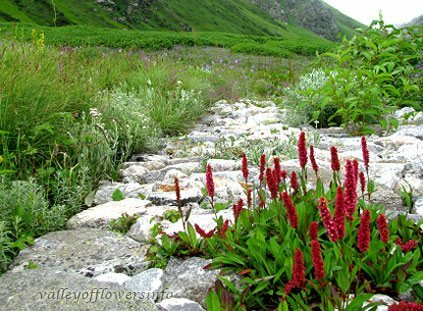 Detailed itinerary for valley of flowers trek explaining the day wise altitude gain, distance travelled, mode of transportation available and time required to travel between different destinations. Guidance on various options available to skip trekking between Govindghat and Ghangaria. We also provide packages for trek to Valley of flowers. If you wish to come with us you can visit this page to see our offers and departures to the valley in upcoming season. 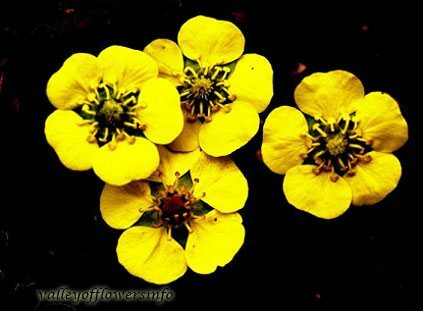 We have been going to valley for many years and have lot of pictures of the valley of flowers and our groups, they are classified in various galleries like flowers gallery, birds’ gallery, earlier groups gallery, landscapes and many more, just surf through our galleries to have a virtual tour to valley of flowers. When you are on a trekking tour you should know what are the things to carry for the trek. We have many years of experience and based on that experience we have made a list of things to carry for trek to valley of flowers. 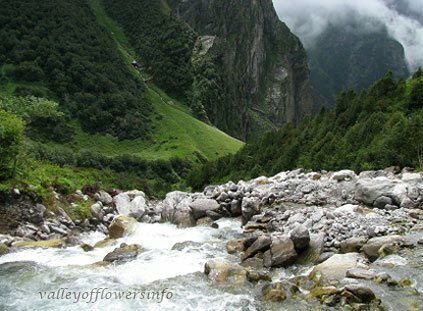 It is important to know before starting the trip that how to reach valley of flowers? How many days are required for the trip to the valley? Distances between various points and time required to travel between them. 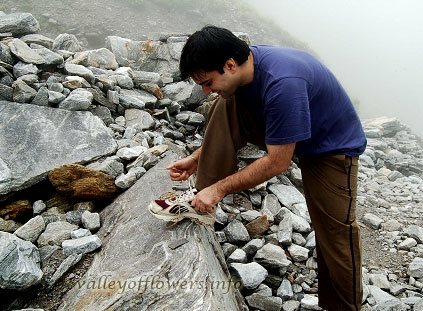 What type of shoes is appropriate for valley of flowers ? When you go for trek you should wear appropriate type of shoes so that your main concentration is on trekking and enjoying nature. We have seen that shoes of many people breaks while trekking and sometimes people develop blisters. 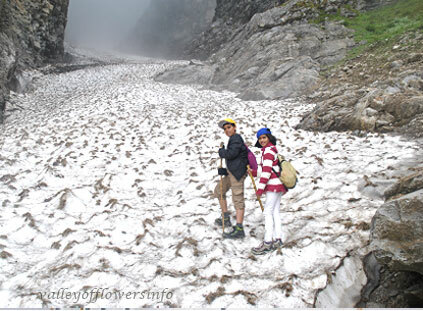 Whether kids can do the trek to Valley of Flowers or not? 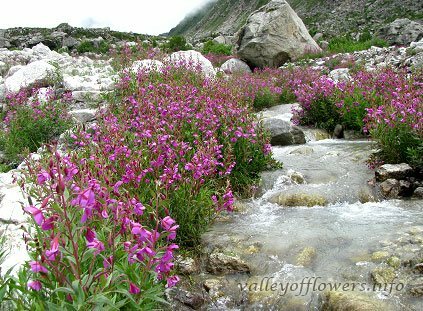 What is the minimum age requirement to visit the valley of flowers? Please read this full page to get the answer to this question. 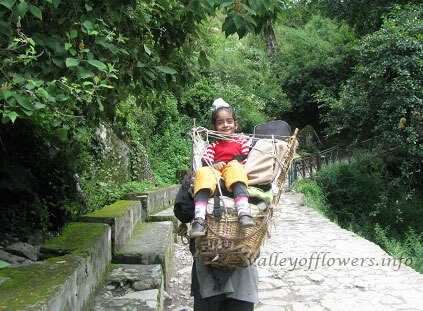 Couples with young children willing to visit valley of flowers can go through this page. Minimum number of days recommended going for trek to Valley of Flowers. Why we need an extra day for the trip. Read full report with pictures of the valley. 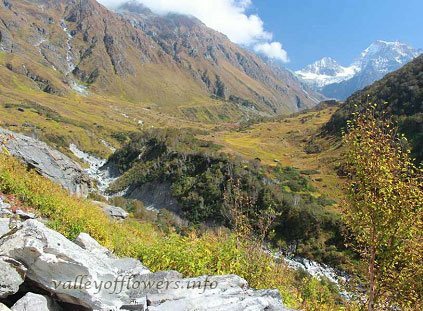 How difficult is Valley of flowers trek. 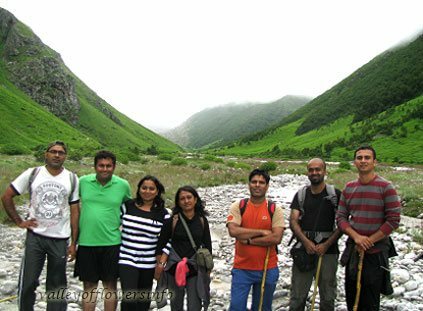 Trek difficulty of the Valley of Flowers trek. Vital statistics are given here. How much altitude is to be gained every day while trekking? How much distance is to be covered every day? What is Fitness level required for the trek? Valley of flowers after floods. Valley of flowers has witnessed a massive flood in 2013. We were the first to report that the flowering area of the valley is totally intact. Now the valley of flowers has become again accessible and all the treks and bridges have been reconstructed. Get Detailed itinerary and other details on your email, just fill the from below. Special Discount for July Departures. Flower of the Moment ! !